Gourmet food truck festivals are taking the nation by storm and plans are underway to bring the foodie event to the city of Decatur. 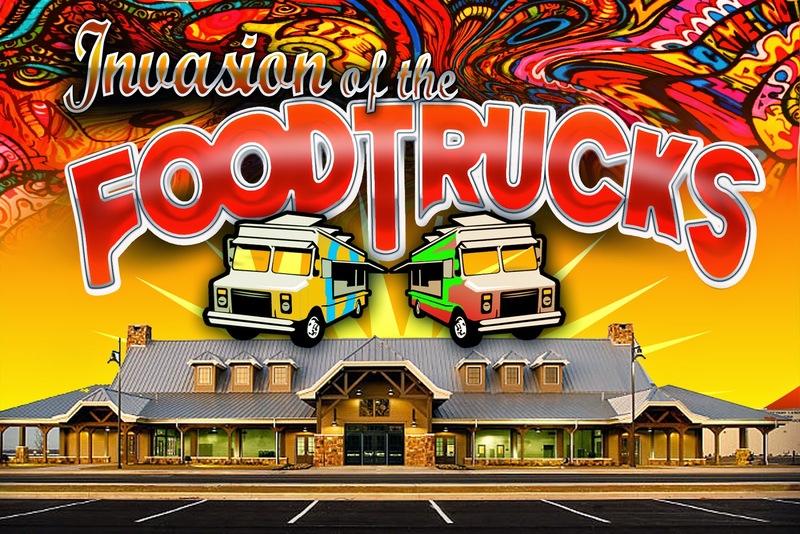 The inaugural Invasion of the Food Trucks is set for Saturday, September 27, 2014, from 5 p.m. to midnight at Ingalls Harbor, and along with a variety of culinary delights, there will be a car and motorcycle show, live music on two stages, activities for children and a 3d mapping light show. Six to ten mobile food vendors will offer a variety of gourmet food to satisfy any foodies’ appetite. Those confirmed include Bad News Barbeque, Brain Freeze Mobile, Neon Lily, Rollin Lobstah, Sugar Bell and Chef Will the Palate. Among the culinary delights will be barbeque, Eastern Europe cuisine, lobster, fine cuisine featuring fresh produce from local farmers markets and a variety of yummy desserts. Inside the Pavilion at 7 p.m., live music will be provided by Renegades of Funk, 5ive O’Clock Charlie and other acts. A 3D projection mapping light show will coordinate with the music providing an unforgettable experience for festivalgoers. A second stage will be set up outside of the Pavilion from featuring light acoustic music by Josh Allison and Cheryl Llewellyn and DJ Tryptone will keep everyone entertained as the evening rolls on. Additional activities include a car show and motorcycle show in the parking lot area and kids will particularly enjoy the inflatable bounce houses and complimentary face painting. Life South will be accepting blood donations and the Neighborhood Christian Center will have two tents set up for food donations. Beer and wine will be sold inside the Pavilion. Organized by Decatur Parks and Recreation and River City Lights, the Invasion of the Food Trucks will last from 5 p.m. to midnight and will take place rain or shine. All activities will be held in Ingalls Harbor located at 802 Wilson Street NW in Decatur. Proceeds from the event will benefit the Neighborhood Christian Center. Media inquiries may be directed to Brandi Norman at brandi.norman@hhsys.org. 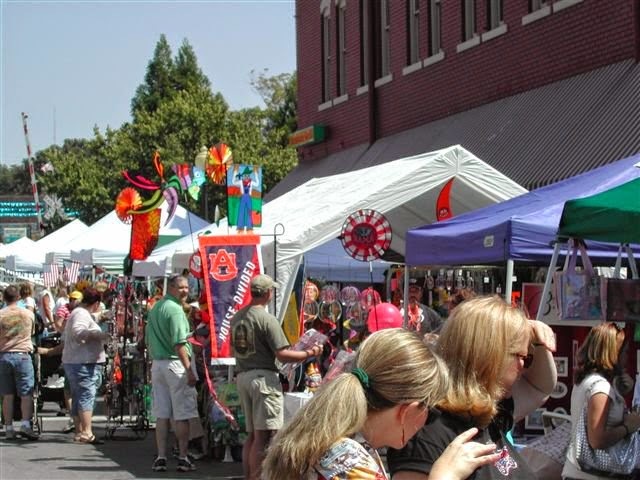 Hosted by the Hartselle Area Chamber of Commerce, the Depot Days Festival rolls into downtown Hartselle September 20, 2014, bringing a day of family fun to the quaint downtown area. The festival has been a tradition in the community for the past 33 years and features a full day of live music, art, food, children’s rides and games, and more. The Depot Days Festival gets underway at 8 a.m. and lasts all day until the music stops. Along with live music, the annual event offers a car, truck and motorcycle show, an arts show, crafts, a tractor and engine show, and a variety of fun and games for children covering a five-block area of downtown Hartselle. Admission is free. The Half-Marathon, a partnership between the Depot Days Festival and the Hartselle Kiwanis Club, returns in 2014 after a successful debut during last year’s event. Race time is set for 7 a.m. at Quail Creek Golf Resort and Convention Center. For more information, visit www.hartsellekiwanisclub.org/half-marathon/. Additional activities leading up to the 34th annual event include the Miss and Master Depot Days Pageant at the Sparkman Civic Center on September 13th, a community worship service with hymn and gospel singing on September 14th, “Down Memory Lane” program at the Hartselle Fine Arts Center on September 15th, and a concert by the Hartselle High School choral department in the Hartselle High School auditorium on September 18th. The annual event pays tribute to the history of the railroad and its contribution to the growth and development of Hartselle and north Alabama area. For more information on the Depot Days Festival, visit www.hartsellechamber.org and click on News & Events or call the Hartselle Area Chamber of Commerce at 256.773.4370. 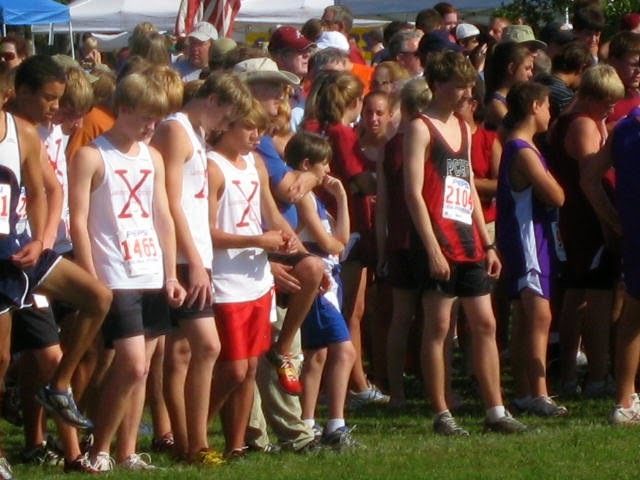 Approximately 5,000 high school athletes are expected to compete in the 16th annual Jesse Owens Cross Country Classic Invitational set for Saturday, October 4, 2014. Hosted by the Jesse Owens Runners’ Club, the race begins at 8:20 a.m. and is held on the championship course located on the grounds of the Oakville Indian Mounds Education Center. The Jesse Owens Cross Country Classic brings junior high and high school students from all over the United States for a competitive race honoring one of Alabama’s greatest athletes. Born in 1913 in Oakville, Alabama, Jesse Owens captured four gold medals at the 1936 Olympics in Berlin overcoming racial and socioeconomic barriers. In 1955, he was named Ambassador of Sports by President Eisenhower and toured the world promoting the virtues of amateur programs. According to Race Director Stanley Johnson, nearly 5,000 high school runners from Alabama, Louisiana, Florida, Kentucky, Tennessee, Georgia, and Mississippi competed in the 2013 event, setting a new record for entries. The race began in 1999 with approximately 450 participants. The competition offers 14 divisions for boys and girls. The top 10 finishers in each division receive a special award with the overall winner in each division winning a trophy. Registration deadline is September 30, 2014. For more information including race times, a schedule of events and registration information, visit http://alabamahighschoolrunner.com or call Coach Stanley Johnson at 256.566.4410. The championship course is also great for spectators who want to witness competitive racing from the sidelines. Oakville Indian Mounds Education Center is located approximately 8 miles south of Moulton on Alabama Highway 157 and 1/2 mile from the Jesse Owens Memorial Park. Admission is free. A parking donation of $2 per car is suggested to help support the Education Center. A new World Grand Champion will be named in Decatur, Ala. when the largest Racking Horse Show in the United States returns to the Celebration Arena September 19-27, 2014. 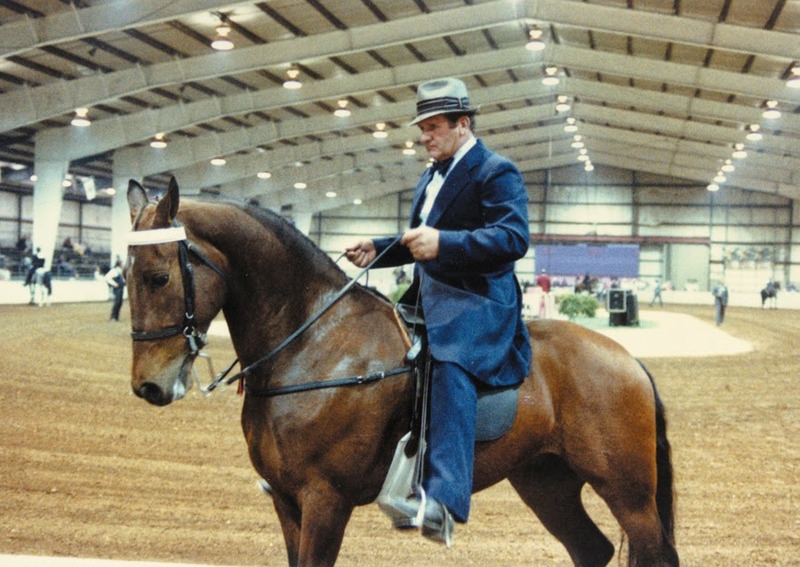 The World Celebration offers 188 classes for children, adults, amateurs, and professionals, and show organizers extend an invitation to the general public to come and experience the excitement of crowning a new grand champion. The annual World Celebration offers a variety of activities, including a horse sale, a barn decorating contest, nightly consignment sales, and a golf tournament in addition to the horse competition. The general public is invited to participate in the Pleasure Association’s 50/50 raffle and the “When Pigs Fly” contest. Each night of the show, participants can attempt to fly a pig toward a target with the closest one winning a cash prize. On Saturday night prior to announcing the World Grand Champion, children are invited to participate in the “Stick Horse” class. This event allows children to bring their own stick horse for friendly competition in the arena. The nine-day competition culminates with the announcement of the new World Grand Champion. Shows are held nightly at 6 p.m. except on Thursday when show time begins at 5:30 p.m. Admission is $5 per person September 20 through 25 and $7 per person for the remaining nights of the competition. Parking is $5/daily. The Morgan County Celebration Arena is located at 67 Horse Center Road (off Highway 67 East) in Decatur. For more information, visit www.rackinghorse.com or call 256.353.7225. Along the Tennessee River in Decatur, the aroma of barbeque fills the air the in September. 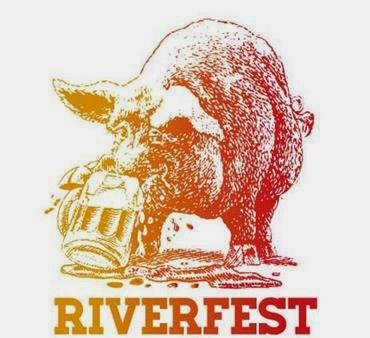 Celebrating its 20th year in 2014, Riverfest brings together pitmasters from across the country who smoke it out as festivalgoers enjoy live music, friendly barbeque competition, and fun and games. Headliners for this year’s event set for September 19-20, 2014, are country music star Craig Campbell and Southern rock band Blackberry Smoke. Hosted by the Decatur Jaycees, Riverfest is recognized by the State of Alabama as an official State Barbeque Championship competition and is sanctioned by, and conducted under, the rules of the Kansas City Barbeque Society. Competing for prize money and trophies totaling $20,000, the BBQ cook-off is open to professional and amateur teams, and children between the ages of 8 and 18 years old are invited to test their ribeye steak barbequing skills in the Kids Q. Live music fires up Friday evening. Headliner Craig Campbell (www.craigcampbell.tv) is scheduled to take the stage at 9:30 p.m. Nominated for two American Country Awards, Campbell reached the top of the country music charts with several of his songs, including “Outta My Head,” “Family Man,” and “Keep Them Kisses Comin.” The music continues Saturday afternoon and includes performances by The Wheelers (www.reverbnation.com/thewheelersband), Drake White (www.drakewhite.com) and rising stars Blackberry Smoke (www.blackberrysmoke.com). Playing up to 250 dates each year, this Southern Rock quintet band has toured with the Marshall Tucker Band, ZZ Top, Lynyrd Skynryd and George Jones. The band was asked to play for Jones on his 80th birthday, not long after the country legend turned in a guest appearance on the band’s sophomore album. Along with the BBQ cook-off and music, there are food vendors offering barbeque and other traditional festival food and a free children's area. Weekend passes are $30 per person and includes admission for both days. Weekend passes must be purchased in advance at www.decaturjaycees.com, Decatur-Morgan County Chamber of Commerce or Decatur-Morgan County Convention and Visitors Bureau. One-day tickets at the gate are $20 per person. Children younger than 10 years old are admitted for free. Festivalgoers who want to avoid the long lines and enjoy discounted beer, free food, front row seating and other VIP benefits can also purchase a VIP Area/Sports Zone ticket for an additional $35 per night or $50 for the weekend. For more information, visit http://www.decaturjaycees.com/riverfest-2012/vip-area-sports-zone. Riverfest is a community event that helps raise funds for various charities in Decatur and surrounding area. Over the past three years, the event has been able to give over $60,000 to local charities. For more information on the 20th annual Riverfest, visit www.decaturjaycees.com. For the past 24 years, thousands of visitors have made their way to the tiny hamlet of Eva, located off of Interstate 65, for eight days of old-fashioned fun and games. Now in its 25th year, Eva Frontier Days offer wholesome entertainment where festival goers are entertained with a greased pig chase, a frog jumping contest, a parade, antique tractors, a hayride, and much more. This year’s event is set for September 20-27, 2014. The 25th celebration kicks off Saturday, September 20th at 6 p.m. at Eva School with a bluegrass festival featuring Fireball Mail from Nashville, Tenn. and Arab’s Freshwater Creek. Admission is $6 per person. 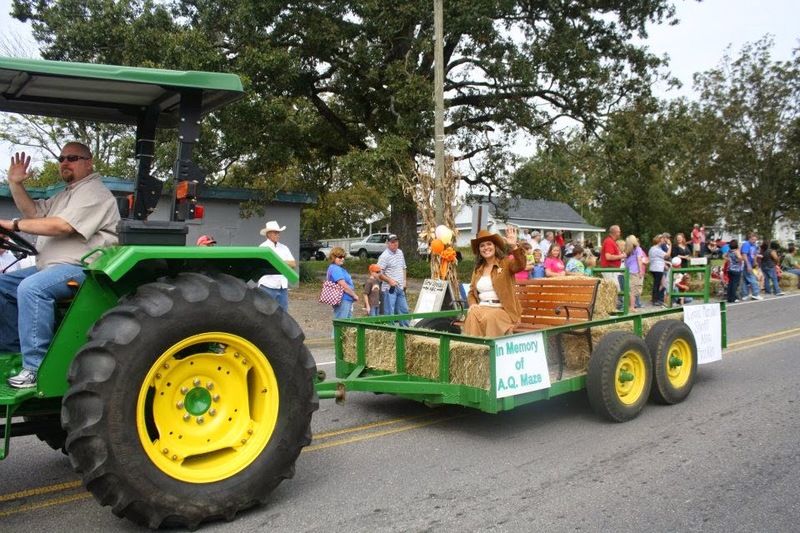 On Tuesday, September 23th at the Eva Saddle Club Arena, the world’s largest hayride will hit the streets at 6:30 p.m. Cost is $1 per person and includes a free hotdog and coke. Eva Methodist Church will host a Community Hymn Book Singing on Thursday, September 25th at 7 p.m. and the public is also invited to Music on the Square featuring Dixie Flavor on September 26th beginning at 6 p.m. in downtown Eva. The fun continues on Saturday, September 27th beginning at 9 a.m. with a variety of games and activities including the Antique Tractor and Car Show and an arts and crafts show. At 10:30 a.m., the baking contest gets underway where a cash prize is up for grabs, followed by a parade at 11 a.m. and the pig calling contest at 1:30 p.m. The day wraps up at the ball fields with a frog jumping contest at 4 p.m. followed by the greased pig chase at 5 p.m. Proceeds from Eva Frontier Days benefit the Eva Art Guild. For more information, call 256.796.7023 or 256.318.6735.